The Espirito Santo Plaza office building at 1395 Brickell Avenue was sold to a Dallas real estate firm based in Dallas, Texas. The building had been owned by subsidiaries of Banco Espirito Santo of Lisbon, a Portuguese Bank who had operated at this location since the mid to late 1990s. 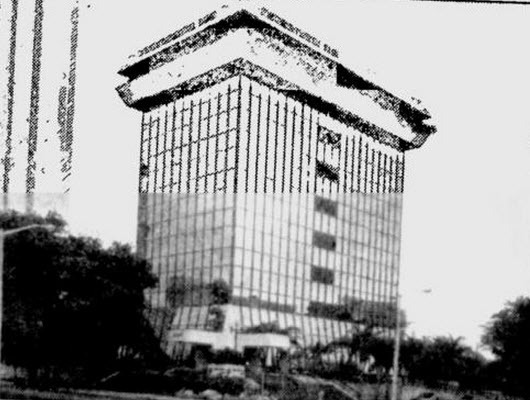 Prior to Banco Espirito Santo residing at 1395 Brickell Avenue, Atico Financial Corp operated out of a prior building from the early 1980s until the mid to late 1990s. In April of 1998, there was a water main break on the sixth floor of the old building that rendered it uninhabitable. 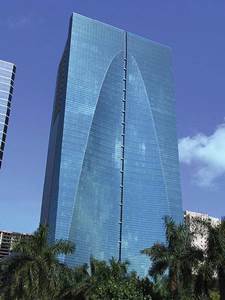 Banco Espirito Santo was forced to lease and operate out of 999 Brickell Avenue until they made a decision on the fate of the old building. 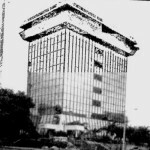 The old building at 1395 Brickell remained vacant for two years until Banco Espirito Santo decided to knock it down and construct the building that resides there now. The 150 year old Portuguese bank operated at the new building until it the bank went belly-up in August of 2014. The Conrad Hotel was not part of the sale of the building. It is unclear if the new owners will keep the current “Espirto Santo Plaza” name.